Venice, 05/02/2019 at 5.15 p.m. In September 2013, Muzaffarnagar and Shamli districts of Western Uttar Pradesh, India, witnessed one of India’s worst ever anti-Muslim pogrom since Indian Independence. What triggered it, what happened? 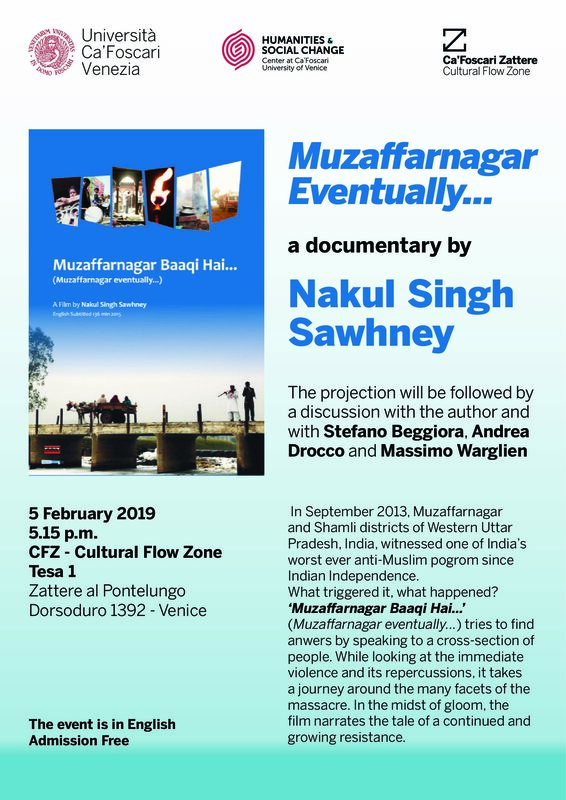 ‘Muzaffarnagar Baaqi Hai…’ (Muzaffarnagar eventually…) tries to find anwers by speaking to a cross-section of people. While looking at the immediate violence and its repercussions, it takes a journey around the many facets of the massacre. In the midst of gloom, the film narrates the tale of a continued and growing resistance.